TUG did a session at the St John’s Branch Library for their Día de Los Niños y Día de Los Libros. 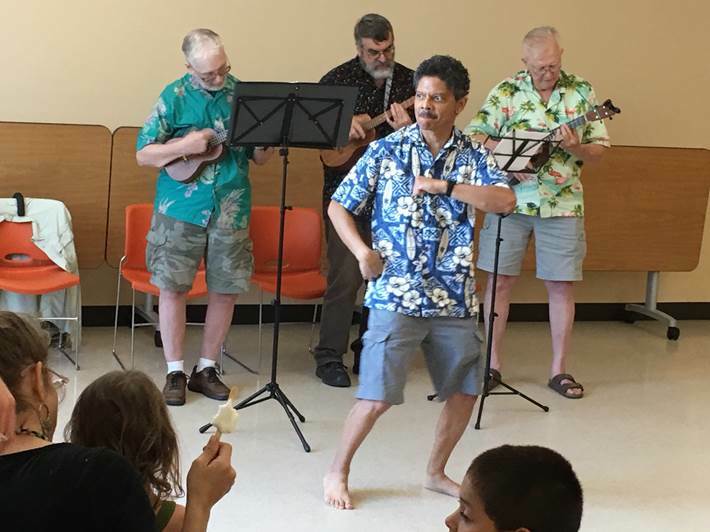 We performed a couple of songs – and Rich reprised his hula. We followed that with a sing-along with the kids and their parents – and finished up with FishHeads – wearing fish hats, of course. 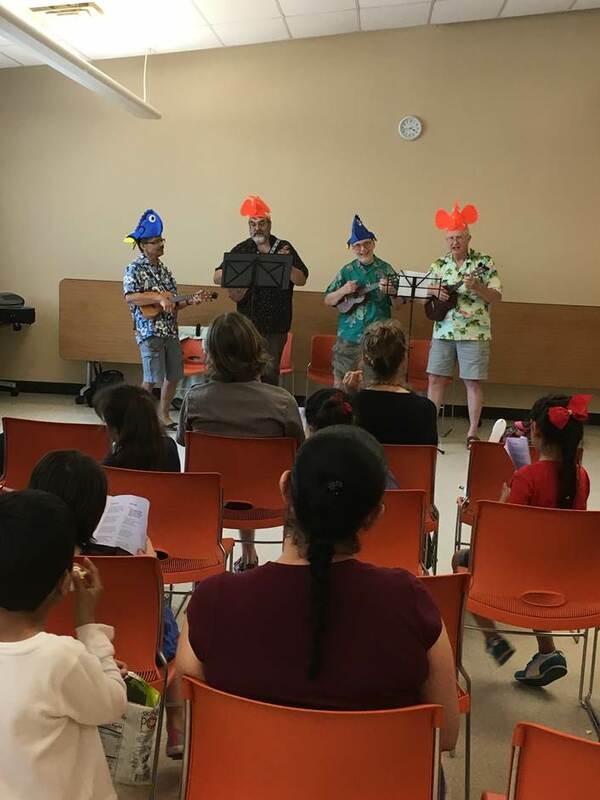 Finally there was a Ukulele petting zoo – we took our 5 loaner ukes – and the library had 7 – the kids snatched them up and Rich had them strumming away.